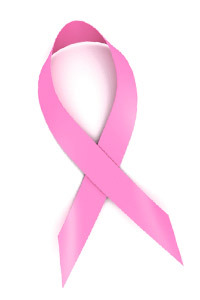 Cancer is one of the most frightening diseases that exists today and one of the conditions that we hear most about. The reason for this is partly its prevalence, but also its danger, a fact that means many of us have in some way been touched by cancer – most of us know someone who has been affected by cancer or have had a brush with it ourselves. The good news is that cancer survival rates have drastically improved over the last several years to the point where someone with cancer is significantly more likely to recover than ever before. That doesn’t mean of course that cancer is no longer a very dangerous threat however, and this is still a condition that can very likely kill someone. Generally cancer survival rates are portrayed as a percentage – with that percentage being the likelihood of survival after a certain number of years has passed. Depending on the source this may apply to the population in general, or to a specific sub group such as a specific age or gender. Of course this also depends on the type of cancer. The following statistics were taken from The Spanish Foundation for Science and Technology and were published in 2010. While these statistics give us a rough indication of the comparative survival rates for different types of cancer, it is important to remember that they are also subject to many different conditions. These statistics reflect survival rates in healthy adults – it’s important to recognize that for elderly patients these survival rates are significantly less favourable. Likewise you also need to bear in mind the health of the individual prior to the cancer, you need to bear in mind the severity of the case of cancer, and you need to consider the type of treatment and how quickly the cancer was found. One of the biggest determining factor in cancer survival rates is how early the individual began treatment – and as such it is highly important that you report any potential symptoms of cancer to the doctor as early as possible, even if you suspect it might be nothing. The reason that we have seen cancer survival rates improve over recent years is of course that we are learning more about cancer and developing improved methods for treating it. One of the most promising areas of research at the moment is that of personalized cancer treatment – and this is particularly useful when treating breast cancer. This form of treatment recognizes that each case of cancer is different and as such will first identify the very best medication/treatment for addressing the problem. One way this is achieved is with xenograft tumor models – where a tumor is surgically grafted to a genetically altered lab rat so that the researchers can find the best solution for treating that specific tumor rather than applying one generalized method.